The Cisco SPA122 is an adapter that combines VoIP services with an internal router for LAN connectivity. Easy to install and use, the adapter includes two standard telephone ports to connect existing analog phones or fax machines to a VoIP service provider. It also includes two Ethernet 100BASE-T RJ-45 ports for WAN and LAN connectivity. Telephone lines can be configured independently. The Cisco SPA122 has a compact design, it is compatible with international standards for voice and data, and can be used with Hivoox VoIP services. It also offers advanced features to better connect employees and provide customer service, all in a highly secure Cisco network. Users can protect and extend their investment in existing analog telephones, conference speakers and fax machines, as well as controlling the migration to IP voice with an affordable and reliable solution. 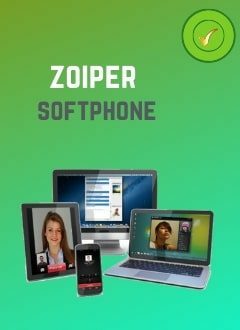 It offers a high quality VoIP via a connection to broadband Internet. Provides clear voice using QoS functions. Supports fax functions using simultaneous voice and data. Includes two standard telephone ports, each with a separate telephone number. It supports all voice and data standards and common telephone features.